On the occasion of Pokémon Black/White being released in America, I've been drawing a bunch of Pokémon determined by Twitter requests and random number generators (I'm still drawing more, if you want to see any in particular done). 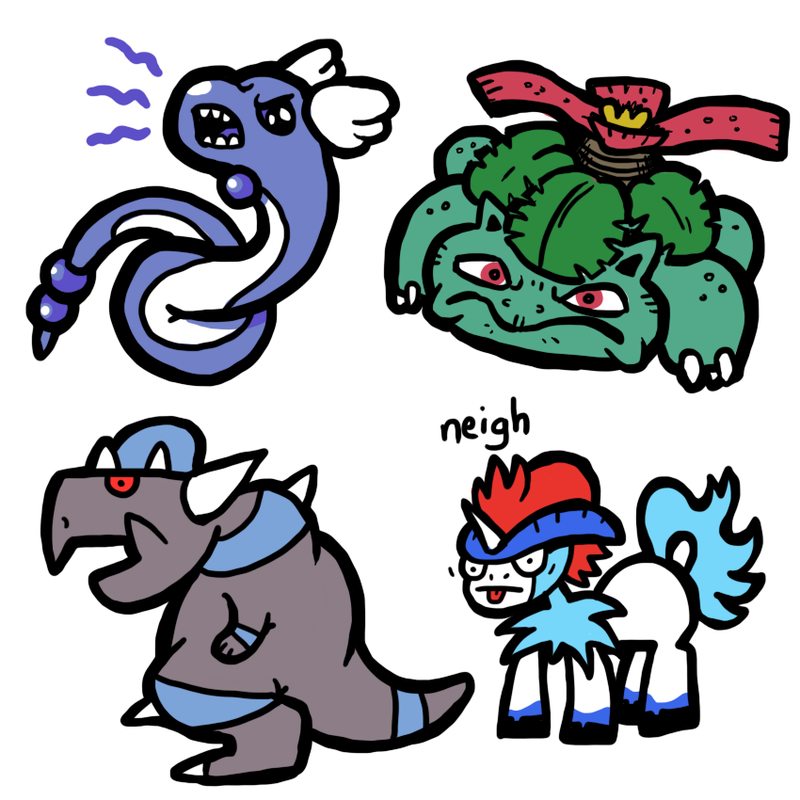 This set includes Dragonair, Venusaur, Rampardos, and Keldeo. Could you do Cryogonal, Durant and/or Yamask?